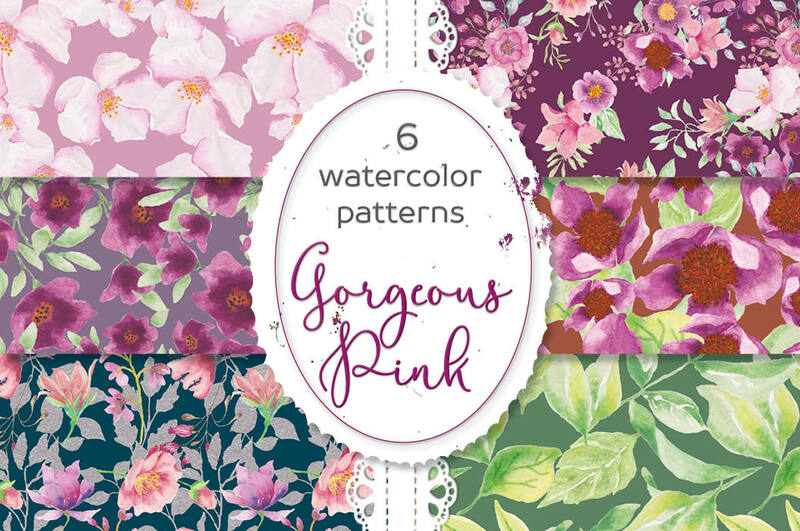 Set of six watercolor floral patterns in pink; download the Freebie pink spray! 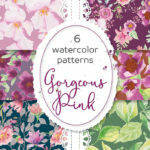 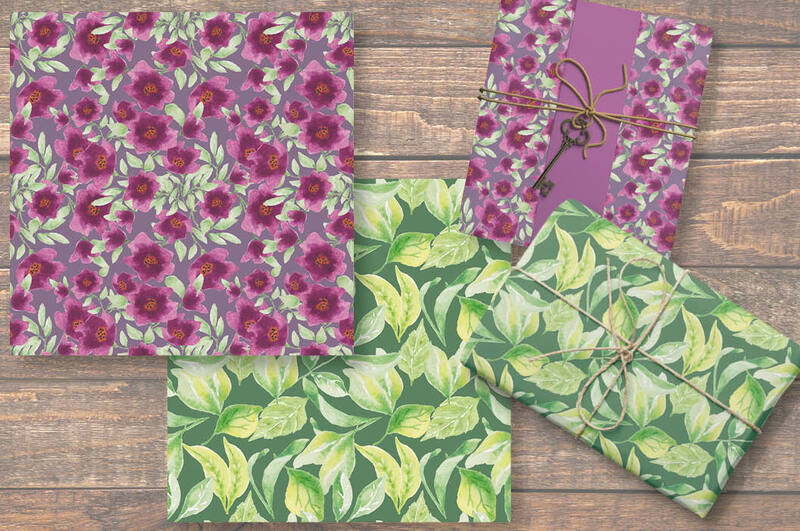 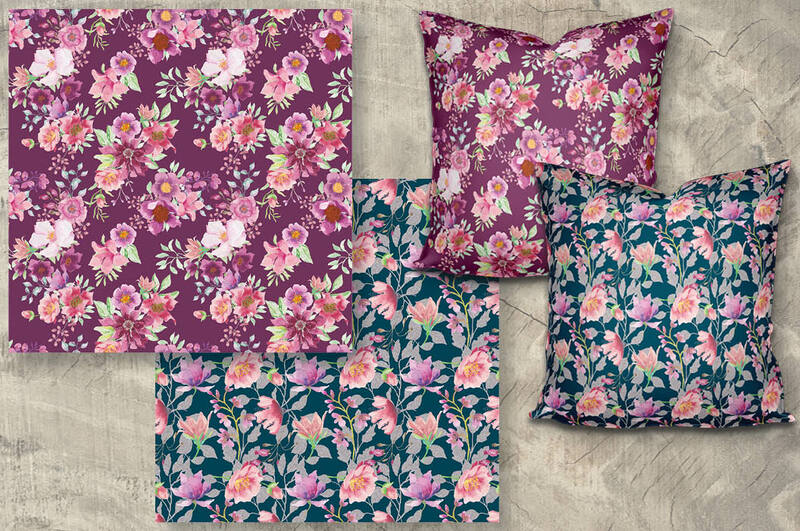 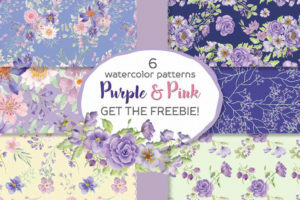 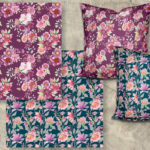 This listing is for a set of 6 watercolor papers designed with pretty pink flowers. 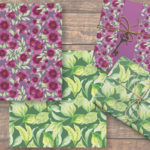 The papers are great for scrap booking projects, card making for weddings and other events, decoupage, and printing on any surfaces such as fabric and paper. 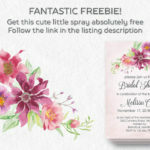 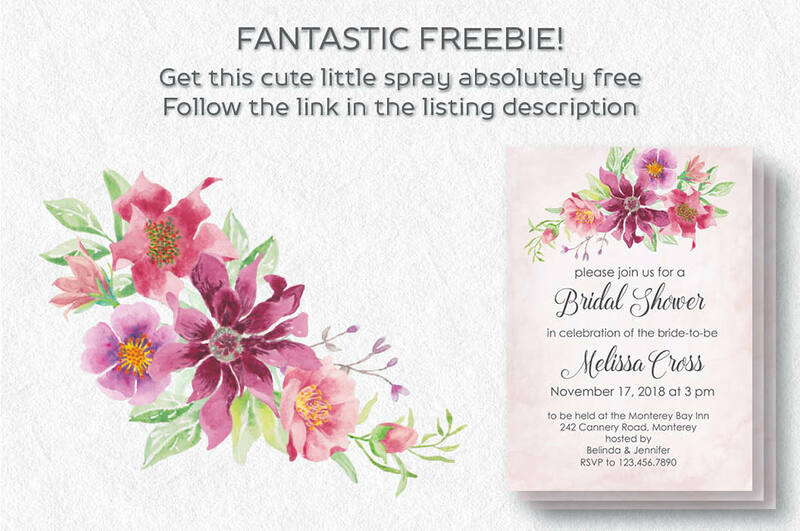 I’m giving away a cute little pink floral spray as a Freebie with this listing. 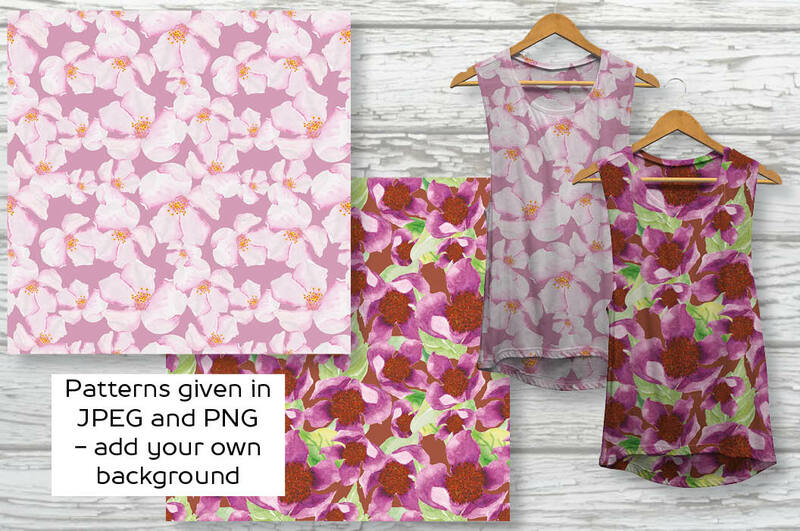 The patterns are given in high resolution (300 DPI) JPEG and PNG file formats. 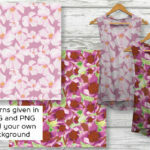 1 zipped folder is immediately available for download following purchase, containing patterns 1 to 6 (JPEG and PNG) – 12 files.